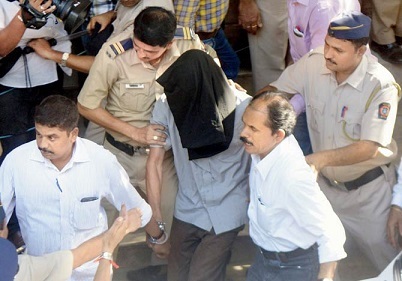 The accused-turned-approver in the high-profile Sheena Bora murder case, Shyamvar Rai was produced before a special CBI court in Mumbai on Friday. Before the special CBI court, Shyamvar Rai pleaded to be released on bail. Rai, who is lodged in Thane central jail, was arrested in August 2015. He had sent a handwritten application for bail in April from the jail. The report published in The Indian Express on Saturday, stated that the court, earlier this week, had directed that Rai be produced before it for hearing on his bail application. Rai, who was not represented by any lawyer, stepped into the witness box to make submissions regarding his bail plea. Rai with folded hands reportedly broke into tears before Special Judge JC Jagdale. Rai also told the court that it is difficult to take care of their two children as his wife had been working since his arrest. The court reportedly told Rai that as the trial was underway there is an apprehension regarding releasing him on bail was the possible threat to his life. Kavita Patil, special CBI counsel, informed the court that Rai’s bail application has been forwarded to the CBI head office and by next week, a reply would be filed. Patil also said that they would be examining the legal provisions on whether bail can be granted to approvers pending trial. As per the report, the court is likely to hear Rai’s bail plea next week.